I admit it. I am a COMPLETE school supply addict! I LOVE pens, pencils, sticky notes . . . EVERYTHING! I love having unique items that no one else has, and so I LOVE Jet Pens. At first, I thought Jet Pens would be just another pen company, but they have pencils, pens, pencil cases, paper . . . and the list goes on an on. They even have fountain pens for reasonable prices! 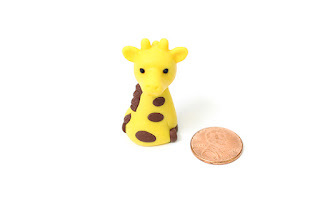 They all have sort of a Japanese kind of style, and I was thrilled to receive one of their novelty erasers to review! Check out this adorable little Giraffe! Cuteness!!!! We love it here! All of the kids want to use it! What I love most about the site is how unique every item is! If you need unique pens and pencils (or any school supplies) that set you apart from the crowd, then Jet Set Pens is the place to look.